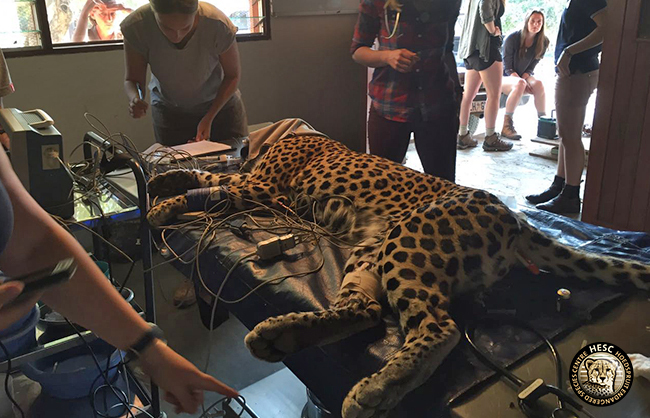 In February 2016, Dr Cobus Raath and his team from Wildlife Pharmaceuticals visited HESC to conduct research aimed at better understanding the anaesthesia of cheetahs by using a combination drug known as BAM (Butorphanol / Azaperone / Medetomidine). 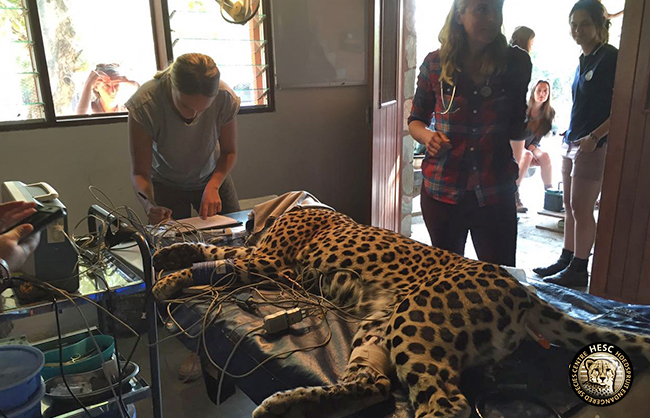 “On behalf of Wildlife Pharmaceuticals (Pty) Ltd., we would again like to give our sincerest thanks for allowing us to work with your animals and for allowing us the use of your facilities. It has been such a pleasure working with Dr Rogers and the staff at HESC and we sincerely appreciate everyone’s enthusiasm towards our research. Again, thank you for your interest and invaluable contribution toward this project. Without HESC, this research would not have been possible. In view of the immense benefit such research has for wildlife conservation, we are always proud to be able to assist with such initiatives.